This view was presumably painted c. 1665-7, very soon after Charles II’s new canal had been completed and his trees planted. 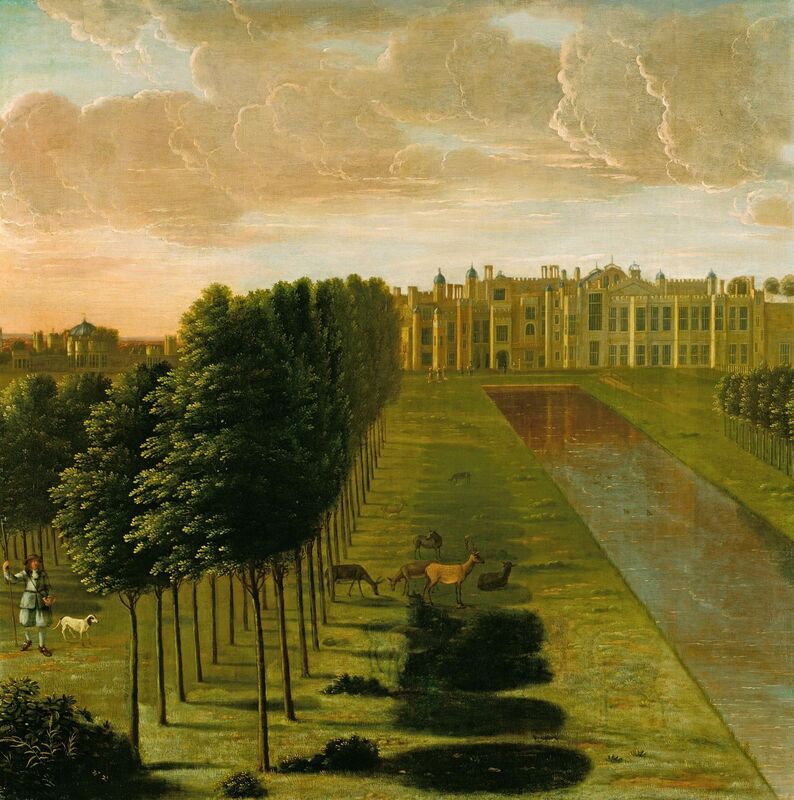 In the diarist John Evelyn’s account of a visit to Hampton Court, in June 1662, he described the park as ‘formerly a flat, naked piece of Ground, now planted with sweete rows of lime-trees, and the Canale for water now neere perfected’. The painting depicts the east front of the old Tudor Palace, almost unaltered since that time with, on the left, the range of buildings towards the river and the cupola of the Great Round Arbour. Early in 1669 Samuel Pepys was planning to have a view of Hampton Court among the paintings he was commissioning from Danckerts, but he later decided to have one of Rome instead.